Chanting the Light of Foresight (imbas forasnai) is a 1987 composition by Terry Riley written for and commissioned by the Rova Saxophone Quartet, though during the course of the composition it was decided that Rova would compose “The Chord of War” and “The Pipes of Medb/Medb’s Blues” contains improvisation. The piece is based on the Taín Bó Cuailnge (The Cattle Raid of Cooley, translated by Thomas Kinsella), a part of the eight-century Ulster cycle of heroic tales. 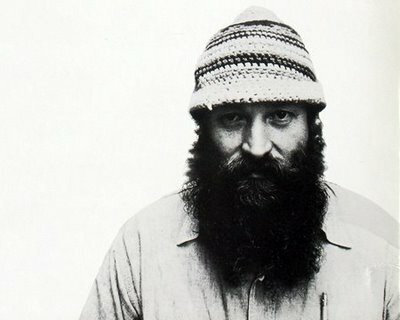 In C is a semi-aleatoric musical piece composed by Terry Riley in 1964 for any number of people, although he suggests “a group of about 35 is desired if possible but smaller or larger groups will work”. It is a response to the abstract academic serialist techniques used by composers in the mid-twentieth century and is often cited as the first minimalist composition. In C consists of 53 short, numbered musical phrases, lasting from half a beat to 32 beats; each phrase may be repeated an arbitrary number of times. Each musician has control over which phrase he or she plays: players are encouraged to play the phrases starting at different times, even if they are playing the same phrase. The performance directions state that the musical ensemble should try to stay within two to three phrases of each other. The phrases must be played in order, although some may be skipped. As detailed in some editions of the score, it is customary for one musician (“traditionally… a beautiful girl,” Riley notes in the score) to play the note C in repeated eighth notes, typically on a piano or pitched-percussion instrument (e.g. marimba). This functions as a metronome and is referred to as “The Pulse”. In C has no set duration; performances can last as little as fifteen minutes or as long as several hours, although Riley indicates “performances normally average between 45 minutes and an hour and a half.” The number of performers may also vary between any two performances. The original recording of the piece was created by 11 musicians (through overdubbing, several dozen instruments were utilized), while a performance in 2006 at the Walt Disney Concert Hall featured 124 musicians. The piece begins on a C major chord (patterns one through seven) with a strong emphasis on the mediant E and the entrance of the note F which begins a series of slow progressions to other chords suggesting a few subtle and ambiguous changes of key, the last pattern being an alteration between B♭ and G. Though the polyphonic interplay of the various patterns against each other and themselves at different rhythmic displacements is of primary interest, the piece may be considered heterophonic. You can see the score and performance guidelines as a PDF file here. Though not among the bespoke events that guest artistic director Brian Eno has endorsed at this year’s Brighton festival, the appearances by the Philip Glass Ensemble chimed nicely with Eno’s own career and musical preoccupations. 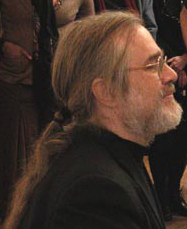 Glass and his group gave two performances: his score for Godfrey Reggio’s Koyaanisqatsi, to accompany a screening of the film; and a complete performance of Music in 12 Parts. Along with Terry Riley’s In C and Steve Reich’s Drumming, Music in 12 Parts is one of the defining statements of what might be called the “pure” minimalism of the 1960s and early 70s. Glass intended it as a compendium of all the musical techniques he had devised for building large-scale rhythmic structures, assembling it movement-by-movement over four years until it acquired epic proportions. Complete performances are rare – the Brighton one, with three intervals, lasted well over four hours. The problem with the work is that a sense of didacticism runs through it. As one part follows another, it’s difficult to suppress the feeling that the audience is being taken by the hand through some treatise on minimalism, with every point rather too painstakingly explained. The amplified sound – three electric keyboards (one played by Glass), three winds (doubling flutes and saxophones) and a hard-worked female vocalist – is unremitting and congested, so that teasing out individual lines or doublings quickly becomes wearying. Read the full review in The Guardian here. The Kronos Quartet is ensconced at Carnegie Hall for a Perspectives series that explores the expansive, stylistically borderless repertory for which this ensemble is known, with master classes and a program by student quartets along the way. The group made a down payment on this minifestival in November, when it performed Tan Dun’s “Ghost Opera” and the pageantlike “Chinese Home” during Carnegie Hall’s festival of Chinese music. But the series got under way in earnest on Thursday evening, with a program of Terry Riley’s music at Zankel Hall. Single-composer programs are rare for the Kronos, but the Riley program celebrated a relationship that dates back 30 years, to Kronos’s early days, and has yielded 26 works. Kronos built its program around three of the latest, with glances back at two earlier scores as well. All this music addresses, however abstractly, Mr. Riley’s longstanding interest in fostering peace. And two of the new works focus more specifically on how children see the world around them and what they will make of the planet they are inheriting. In April 2009, the 45th anniversary of Terry Riley’s In C was celebrated on the main stage of Carnegie Hall in an all-star performance assembled by the Kronos Quartet’s David Harrington. The event included the participation of musical luminaries across a wide swath of genres ranging from Philip Glass and Joan La Barbara to Dave Douglas, Lenny Pickett, and Wu Man, plus some of the participants in the piece’s earliest performances—Morton Subotnick, Katrina Krimsky, Jon Gibson, and Stuart Dempster. Some of us felt it was a long overdue acknowledgment from one of the world’s most prominent bastions of high culture for the historical significance of minimalism and the work which served as a catalyst for establishing this new musical paradigm. Although, fascinatingly enough, the 1968 New York premiere of In C, which directly led to its premiere recording on Columbia Masterworks, occurred in Carnegie’s much smaller, and at the time less high-profile, Recital Hall, now known as Weill Recital Hall. But if last year’s Carnegie Hall celebration confirmed In C’s status as a landmark in music history, two more recent events reveal In C to be a harbinger of the future as well. In July 2009, Oxford University Press issued Robert Carl’s analytical volume Terry Riley’s In C as part of their series, Studies in Musical Genesis, Structure, and Interpretation, the first work of a living composer to be so accredited. This may seem another accolade in the establishing of In C as standard repertoire, but in fact Robert Carl’s book is also largely about how In C’s adaptability among musicians of a wide variety of stylistic backgrounds provides an excellent road map for the future of music. In November 2009, innova issued In C Remixed, a 2-CD set featuring a crisp performance of Riley’s original score by the Grand Valley State University New Music Ensemble along with 18 remixes and re-conceptualizations of In C by a broad range of people including some of today’s most forward thinking musical creators—e.g. David Lang, R. Luke DuBois, Phil Kline, Mason Bates (a.k.a. Masonic), and Paul D. Miller (a.k.a. D.J. Spooky That Subliminal Kid).